Visual health is something many people take for granted. Unfortunately, many eye conditions don’t cause symptoms in the early stages, which makes early detection impossible without a comprehensive eye exam. In today’s post, Nova Vision Center discusses common vision problems among women. Often caused by age, cataracts occur when your eyes start to cloud up and your vision gets fuzzy. They can even render you blind if untreated. If you experience symptoms like fuzzy vision, seeing halos around lights, and colors appearing less vivid, then you should consult with your local eye doctor as soon as possible. Glaucoma is caused by fluid buildup in your eye that increases intraocular pressure and can damage your optic nerve. This can be caused by genetics or conditions like diabetes and heart disease. Medicated eye drops can help, but if the problem persists then surgery may be necessary. Presbyopia is an age-related condition caused by loss of elasticity in your lens. Symptoms are similar to farsightedness, with objects nearby appearing blurry while distant-range objects remaining clear. Eyeglasses and reading glasses are typically used to treat this problem. Floaters are little threads that seem to float across your field of vision and are caused by the shrinking of your vitreous humor. It’s entirely possible for you to live with these little buggers, but if there’s a large number of them, then surgery may be needed for removal and they could be a sign of a serious eye problem. 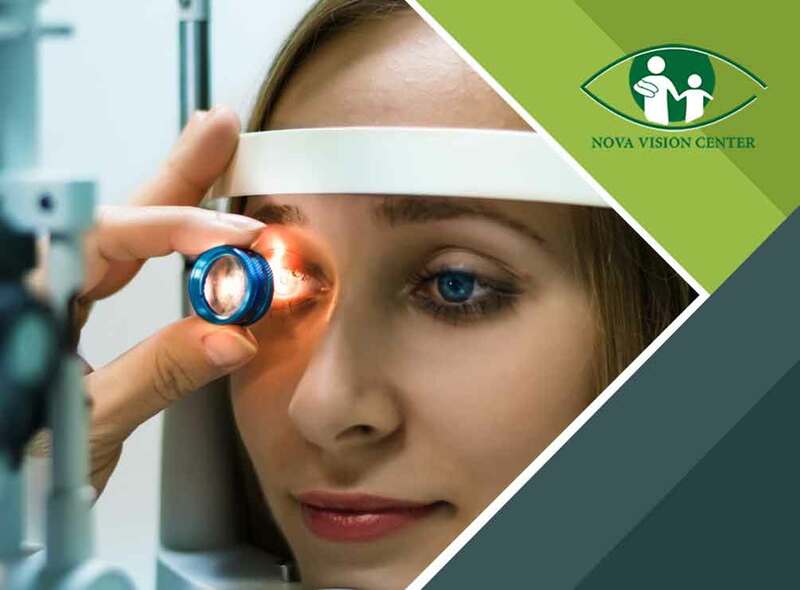 If you have any questions or concerns regarding eye health, simply turn to Nova Vision Center for your visual health improvement needs. We are your number one provider of eyeglasses and eye health services in the area. Give us a call at (703) 291-0080. We serve clients in Falls Church and Arlington, VA, and other nearby areas.